"THE MOST COMPREHENSIVE SURFING APP AVAILABLE"
iSurfer is more than just an app for surfers, it is an essential tool for all surfers to have on their phone or iPod. Take your surfing skills to the next level with iSurfer and start surfing the way you have always dreamed of, and while you improve keep track with the simple and easy to use surf log feature. iSurfer is stacked with information and videos for all levels of surfers to help everyone and anyone improve their surfing skills. Catering for the ultimate beginner to the most advanced surfers. "NEW FEATURE" You can now shop for surf gear from directly in the app. It makes buying any type of surf gear super easy from your phone from anywhere in the world. 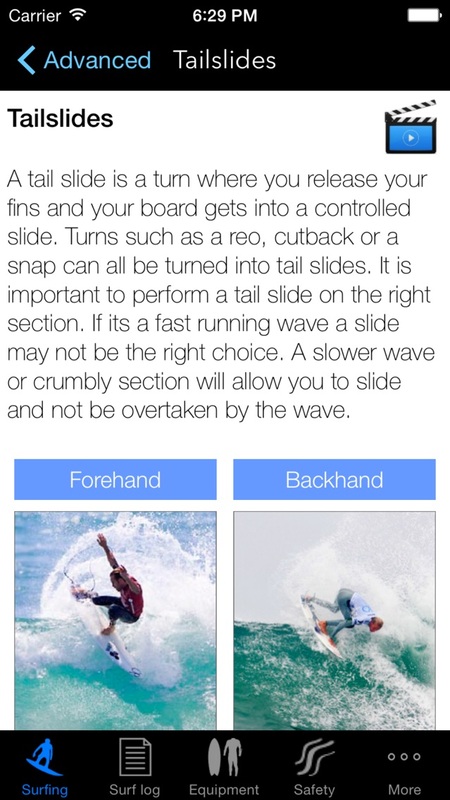 "I highly recommend this app for all surfing levels. Clean, easy to follow and precise instructions for all levels, I use the logbook to track my heats on the WCT" Bede Durbidge, 2008 ASP world champion runner-up and Triple crown winner. 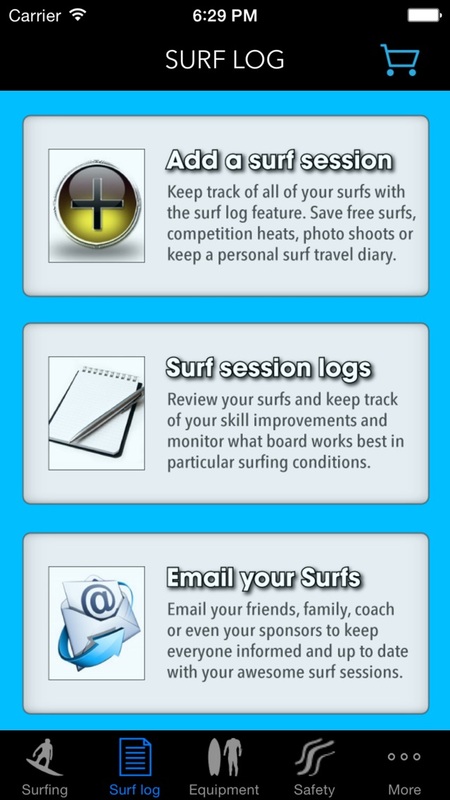 "This app covers it all, full of useful information for all surfers" Dean Bowen, 2009 ISA World Junior Champion. "The logbook allows me to track my heats on the WQS, love it" Rhys Bombaci, Pro surfer. Beginner Level - Learn everything a beginner surfer should know before hitting the water and whilst learning. Intermediate Level - Learn intermediate moves with step by step instructions, pictures, descriptions and VIDEOS. Advanced Level - Learn the most advanced moves performed in surfing with images, steps, descriptions and VIDEOS. - Keep a surf diary if you are traveling to record all your surfs. - Keep track of which boards work best in certain conditions. - Keep track of surfing competitions, heats and mistakes. - Keep track of moves worked on to track your progression. - Save your most surfed locations to the app to quickly log for surfs. 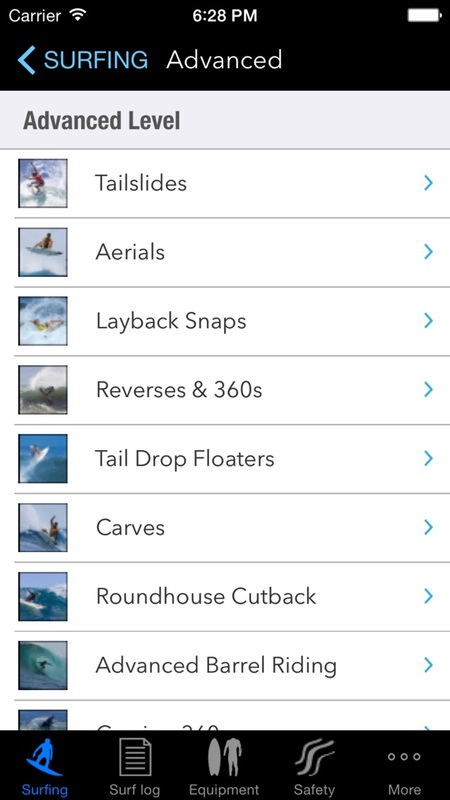 - Save your surfboard quiver to the app to quickly add to logged surfs. - Take a photo of a surf session and add it to your surf log. - Export any of your logs to Friends, family, Sponsors and Coaches. - You will never ever forget about a surf again. Surfboards - Learn parts, types and uses of surfboards with pictures and detailed descriptions. Wetsuits - Putting on a wetsuit, types of wetsuits, different parts of a wetsuit and shop for wetsuits. Leg Rope - How to put one on correctly, types of leg ropes, selecting the correct leg rope and shop for a new leg rope. - Learn all about Rips, Currents, Blue bottle stings and other dangers while surfing. - Follow our Improvement tips to speed up your surfing progression.